As a Christmas gift, Kameron's work gave us two day-passes to a local ski resort called Terry Peak. Since we are jobless, waiting for our Zimbabwean work permits, we went one day last month in the middle of the week. I highly suggest going to a ski resort in the middle of the week because there is NO ONE THERE! Everyone else is at work and school. Score! I went snowboarding & Kameron went skiing. 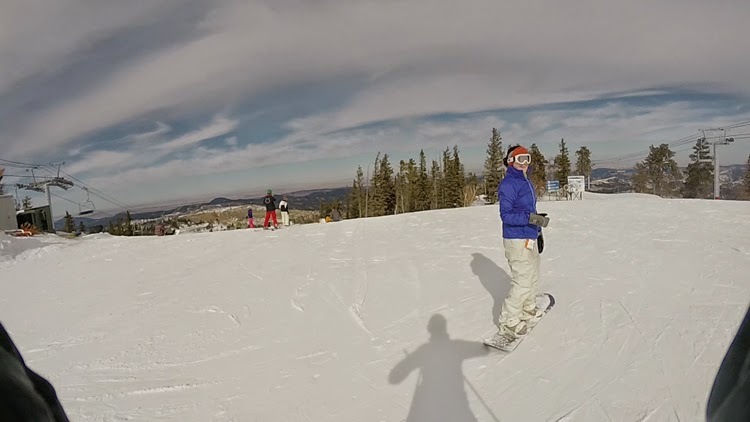 Back in high school, my family would get season passes, so I spent my winters on the slopes. First I took ski lessons & more ski lessons & then skied & skied & skied until it got boring. 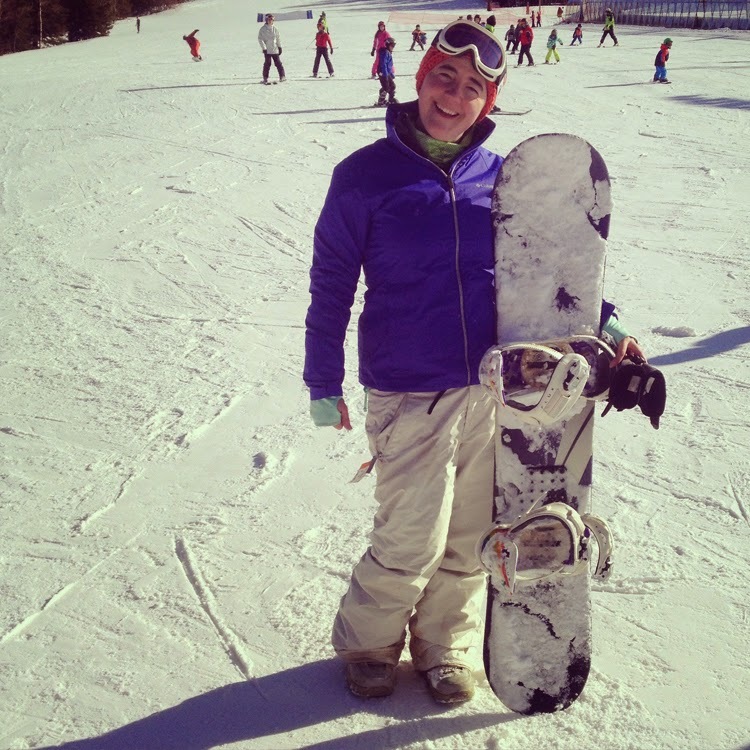 My friends encouraged me to snowboard at a youth group ski trip; I fell in love with the challenge. 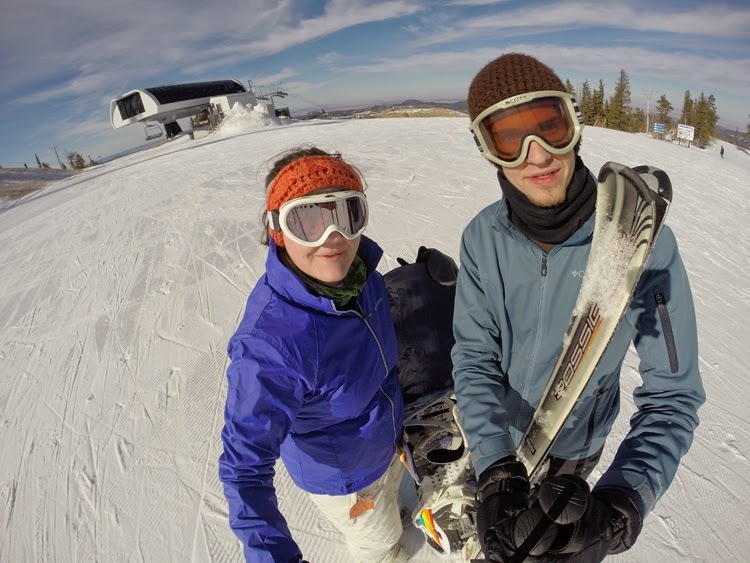 Once I became familiar with snowboarding, I would teach my friends & boyfriend (now husband)... But I haven't been snowboarding since 2010 probably. --- 5 years ago! 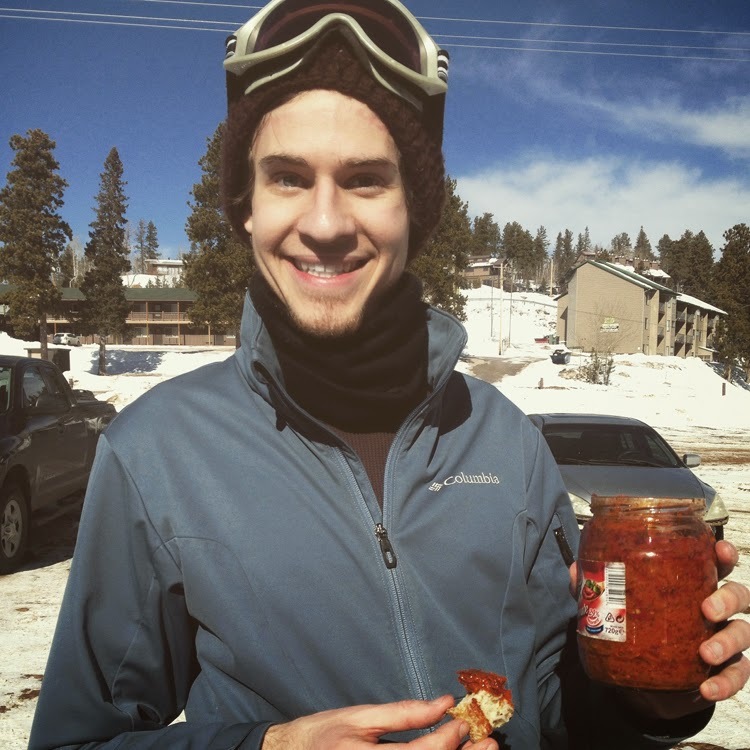 I sure was sore after this day shredding the slopes. Kameron grew up on the prairie. Not much skiing experience. 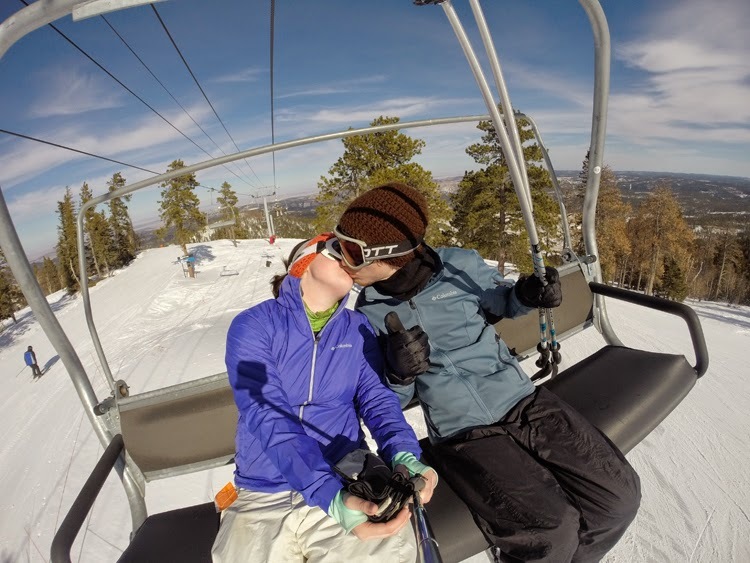 I remember once in high school, before we even started dating, Kam & his buddies went skiing with me. So fun! ---except the poor boy did not tell us he didn't know how to ski. We were waiting for him at the ski lift for awhile. I looked up and saw my man fall, get up, move a foot, and fall again & again & again. By the end of the day, he was more confident & didn't fall as much. On our honeymoon we went skiing, and he did GREAT! 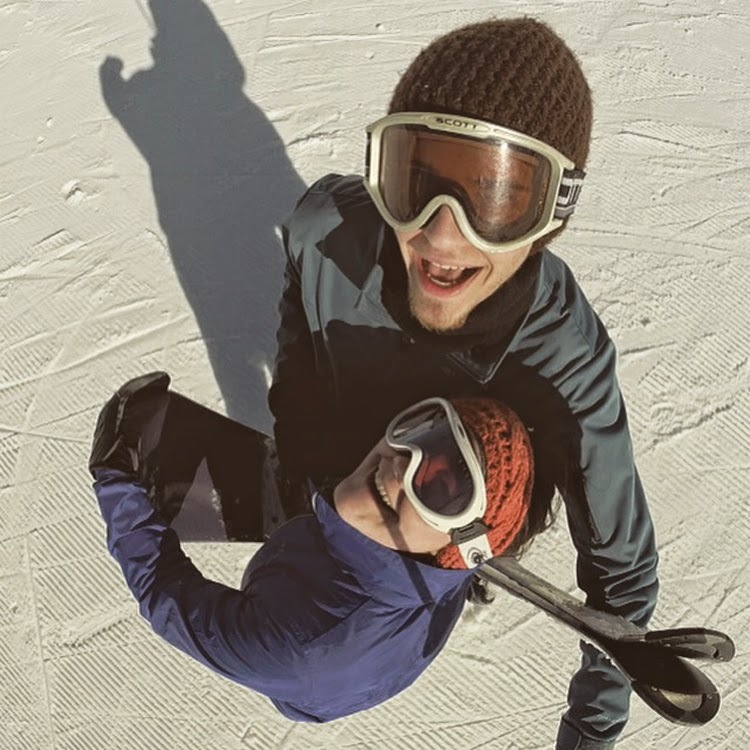 And I would say that on our most recent trip to the slopes, he was better at skiing than I was at snowboarding. Way to go hubs! We were also blessed with beautiful weather & had to shed our heavy coats after the first run. 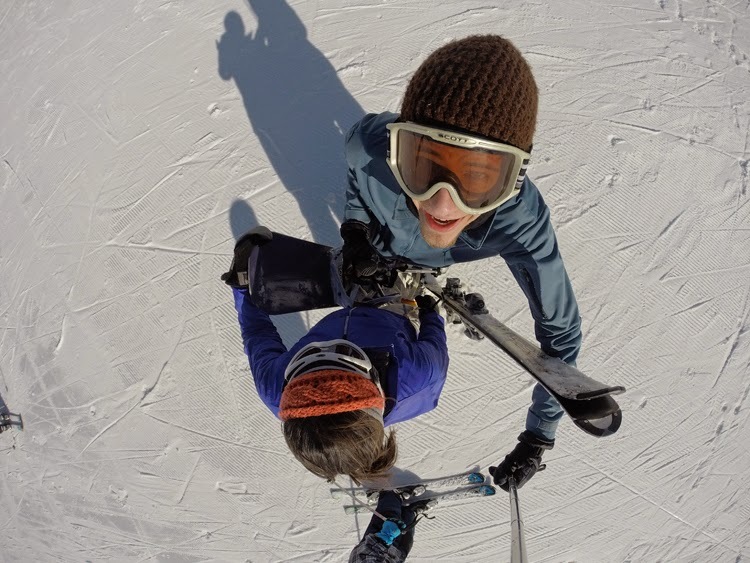 Have you ever been skiing or snowboarding? Which do you like better? Leave a comment below.